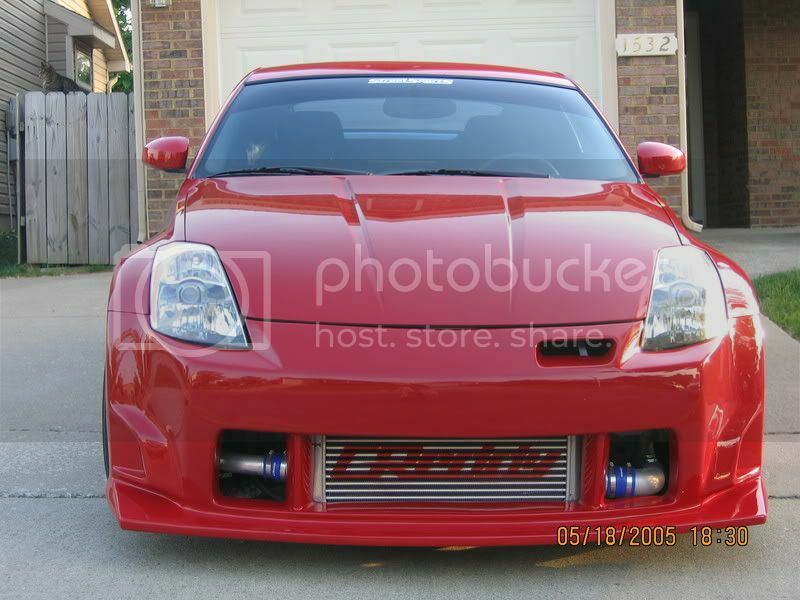 SUMMARY: The new AutomotiveArticles.com Feature Car is Gary Johnson's red 2003 Nissan 350Z Performance model. When building this feature car, the goal was not all out performance. Instead this sleek street ride is a heading turning blend of style, performance, and detail. all the debris would destroy the intercooler pretty quickly without the mesh. I was under that impression too when I first acquired the grill from grillcraft. It was actually installed for sh!ts and giggles to see how it looked. To my surprise, its not only functional (solid, won't rust, and easy removal), it looks absolutely great in person. I honestly don't think pictures did it justice. As for whether or not it will still be on there once I install a body kit, its highly unlikely. It will be a weekend driver (sunny days) and retired from the daily grind. Looks like we'll have to feature it again someother day . 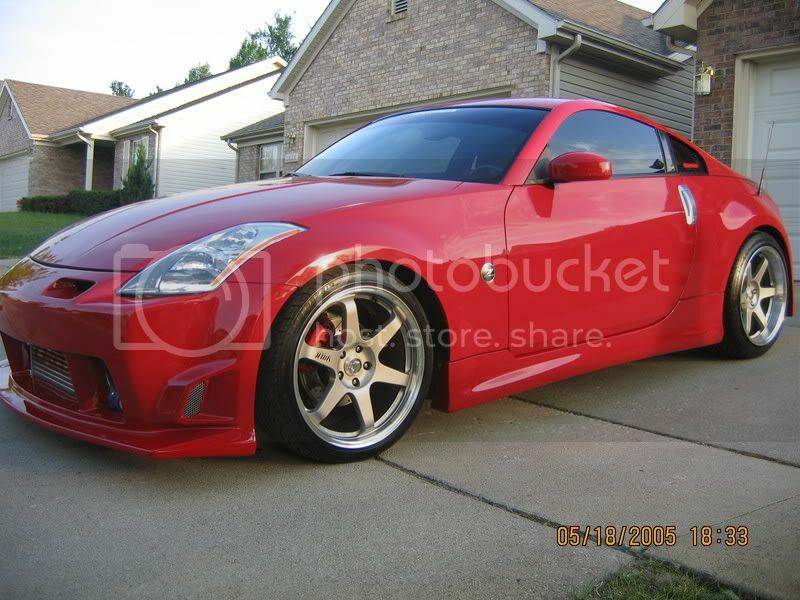 . . body kit, built engine, fiberglassed custom audio, and possibly the APS TT are in the works for this winter. Look out show circuit! Hey, I was wondering who did your install on your subs behind your seats???? I want to put 2 10's behind my seats too!!!! A local audio shop named Autosound (Elizabethtown, KY). Since then, I removed the 10" subs so that I could make custom fiberglass enclosures in the rear (false floor). I may end up just selling those plates, but I haven't really checked to see if they're sealed to the plastic (?). IMHO, inexpensive 10s that require over 1.25 cu ft would sound best in those cubby holes. There's quite a large volume of room in there! LOL . . . Here's the latest update . . . It's funny to see how far this vehicle has gone, stepped back, and will continue to go . . . I miss her, but let's face it, this hobby is too much of a money pit. With a body kit like that, you have to be really cautious.